I can eat this stuff all of the time. Cold. Hot. Oatmeal cookies. Oatmeal bars. Oatmeal just simply rocks. When I came across the opportunity to try out My Oatmeal, I jumped at it. 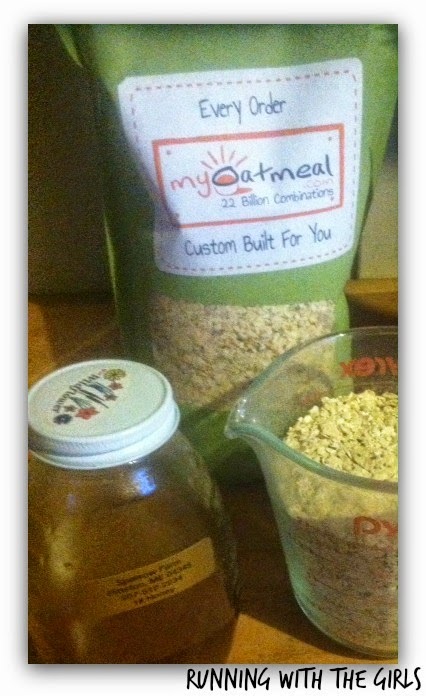 Have you ever "built" your own oatmeal? To say this task was exciting is an understatement. I built at least 20 different flavor combinations. I couldn't make up my mind which one. 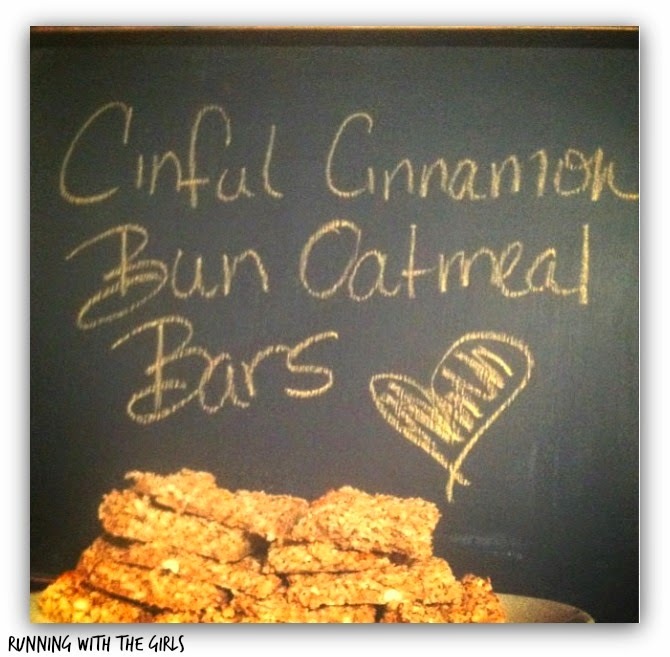 Finally, I settled on something I created called Cinful Cinnamon Bun made with Steel Cut Oatmeal. During the week, we don't have time to sit down for a family breakfast. But I want to make sure my family has something packed full of vitamins and healthy foods to start off their day. 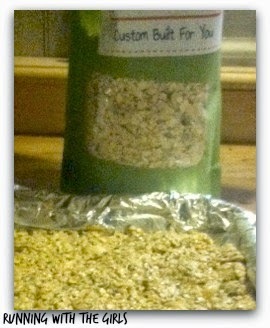 When my bag of custom built oatmeal came, I immediately went to work creating an oatmeal bar we could grab on the go in the morning. Or just about anytime of day, really. 1. Preheat oven to 450 F. Mix the above ingredients in a bowl. 2. 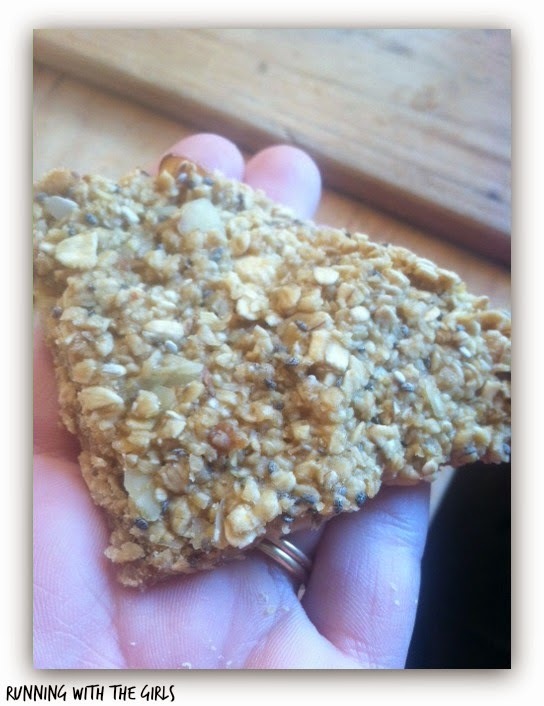 Line baking pan with parchment paper or tinfoil. I was completely out of parchment paper, so I used tinfoil this time. I did a quick spray with canola oil and then pressed the mixture onto the pan to about 1/2 thick. 3. Bake at 450F for 20 minutes or until the top slightly browns on the top. 4. Let cool and cut into bars or square. Eat and enjoy. 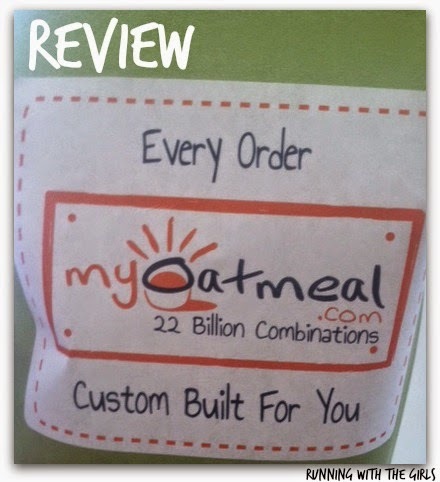 Disclaimer: FitApproach and My Oatmeal provided my first package of custom oatmeal for this review.